Spend time with an Avalara trainer and other students in an online classroom. Perform hands-on exercises to experience Returns real-world settings, tools, and best practices. As long as you have a quality internet connection, you can learn anywhere. Learn how Avalara Returns works, what to have on hand before you get started, and how to set up your account. Attend this session if Avalara files returns for you. An expert from Avalara's filing team will walk you through what you need to know and do to prep for your filing. Learn tips for reviewing and approving your tax liabilities. 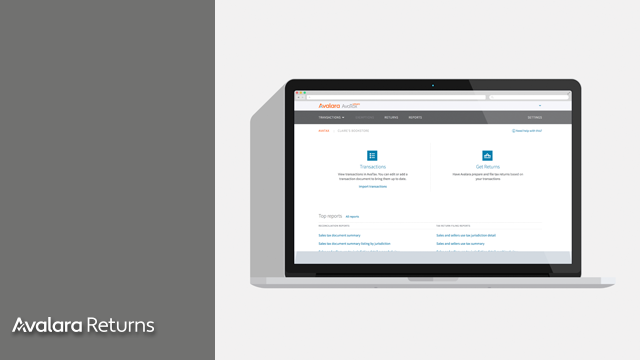 Learn how to keep your Avalara Returns settings up to date and reflective of your business. Learn to manage filing calendars, account users, and your filing responsibilities.